Prime will relaunch its Prime Planet slot on July 17, with the premiere of the four-part Stephen Fry in Central America (7.30 Sundays). Eight years after travelling through all 50 states of the US in a black taxi cab, the QI presenter steers a yellow bus through Mexico and the entire Central American isthmus, to the Panamanian border with South America. 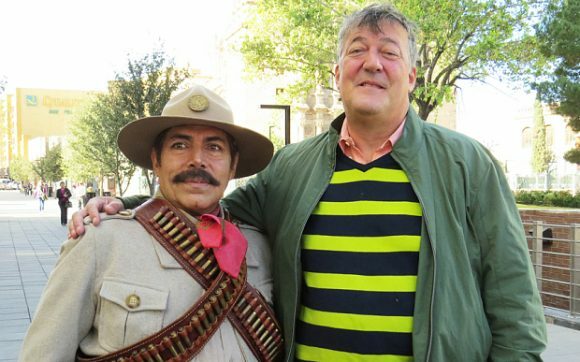 “The most breathtaking scene in Stephen Fry’s latest travelogue was seeing him travel at 80mph down a zip wire across the biggest, deepest canyon in the world, the Copper Canyon in Mexico,” said The Independent. “Fry didn’t quite subvert the [celebrity travelogue] genre but he was witty and honest within its tired bounds,” The Telegraph acknowledged. “He was clearly upset by a street protest in Mexico City against the kidnap and presumed murder of 43 students last September. And he refreshingly broke the first commandment of travel telly – Thou Shalt Always Gush About Abroad – by pointing out that Mexico is the fattest country on Earth. But The Guardian lamented: “For all of Fry’s subversiveness and curiosity, it’s hard to shake the sense that we’re firmly in Wish You Were Here territory, a picture-postcard documentary rather than anything truly searching. “Fry might have time to watch a peyote ceremony or appear in a telenovela, but as he crosses the border from the States, the complicated, fascinating issues of border control are left unremarked upon.